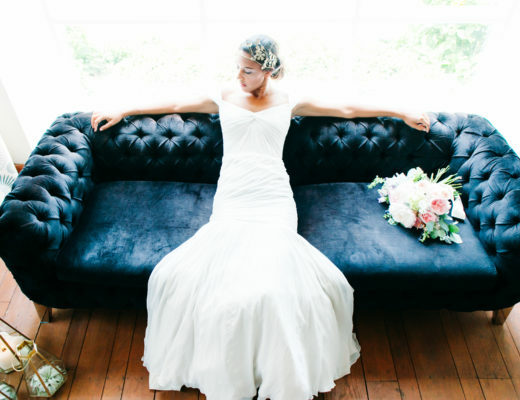 We are thrilled to share with you that one of our last weddings of this year is up now on GWS! 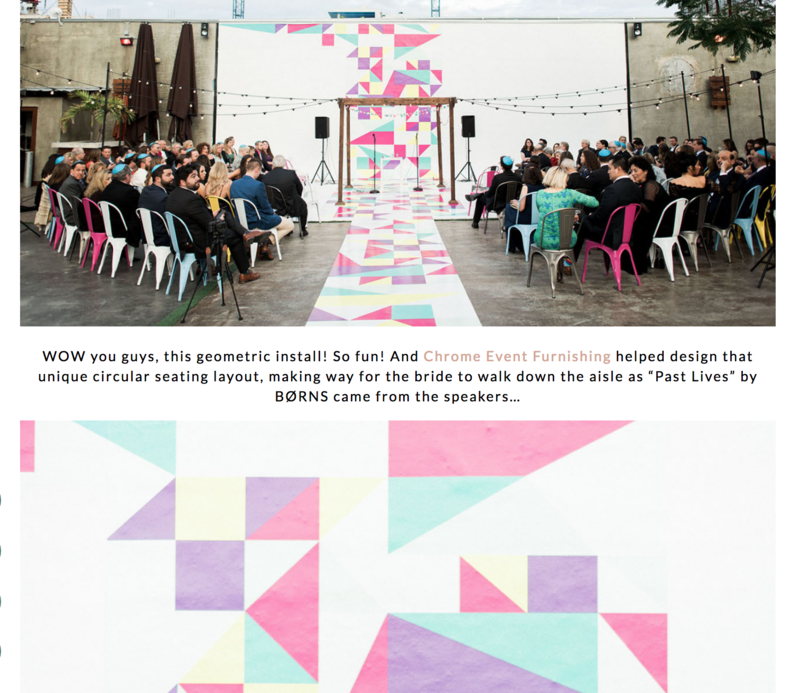 Featured on Green Wedding Shoes our Industrial Colorful Wedding …is a dream ! Yay, time to celebrate another big achievement for our Wedding Planning Studio! We love unique brides and couples…so planning this unique and out-of-the-box wedding was awesome! 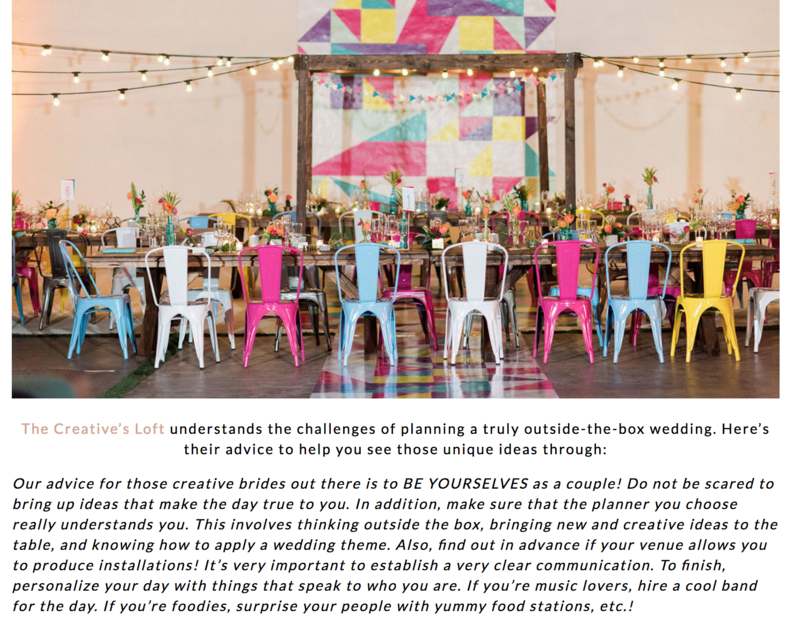 First of all, The Creative’s Loft Team is delightful to plan weddings with so much style and a unique vision. We work hard to set some different trends in the Bridal Industry. In addition, we wanted to provide a different vision and style with this wedding; not only in terms of Wedding Design, but also showcase a different production level. 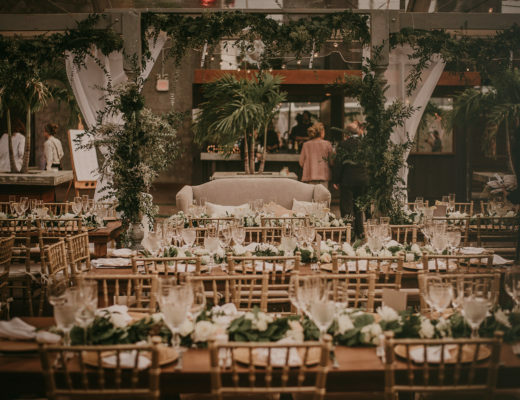 Matt Rice photographed our Industrial Wedding and Primrose Floral & Event Design produced all the floral work. Bellelite was in charge of providing the beauty services (make up + hair) and Chrome Event Furnishing + Elements & Accents were in charge of the decor. 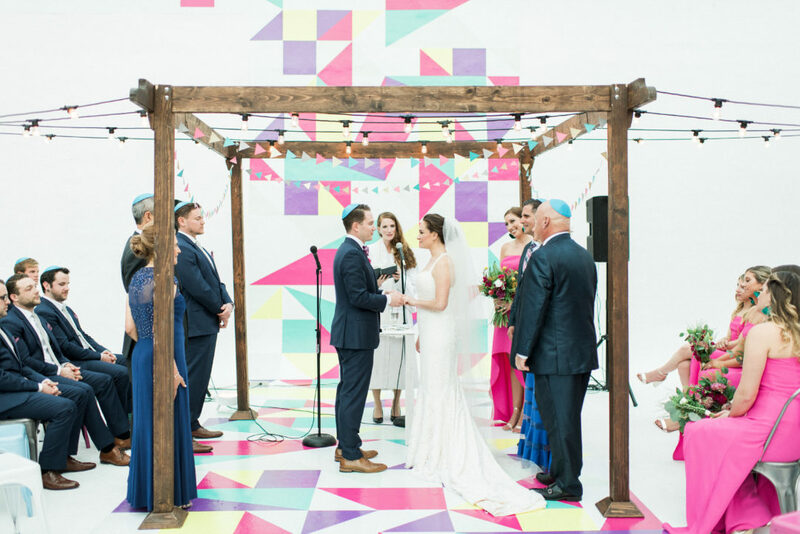 A creative Modern and Industrial Wedding hosted at MAPS Backlot Studio, located in Wynwood, Miami. 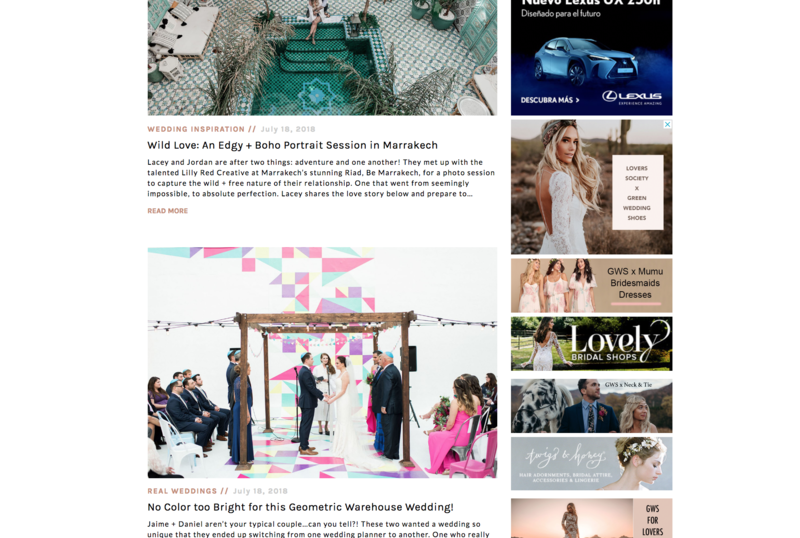 Being featured on Green Wedding Shoes our Industrial Colorful Wedding it’s always good news! 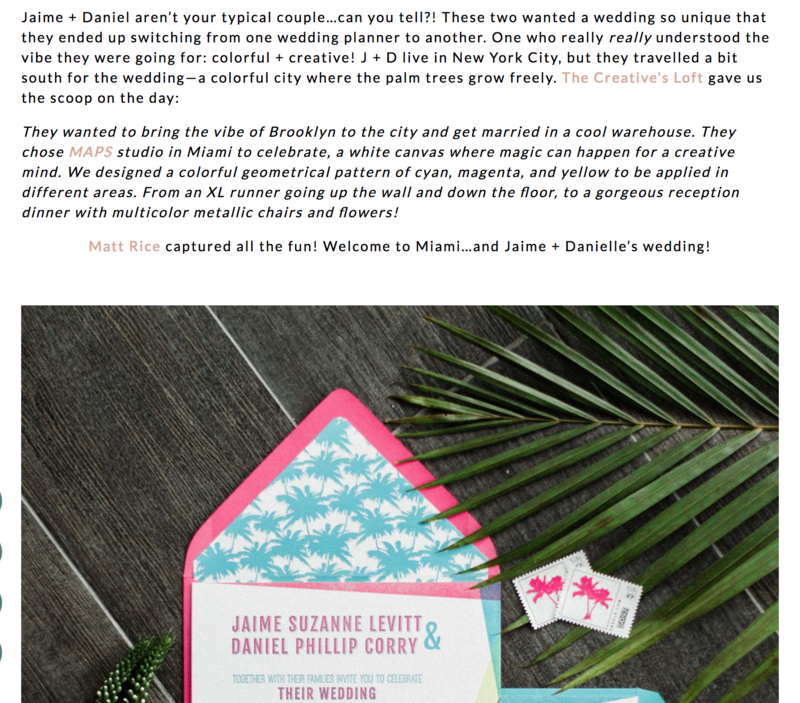 So, we would love to share with you this lovely day for Jaime + Daniel! 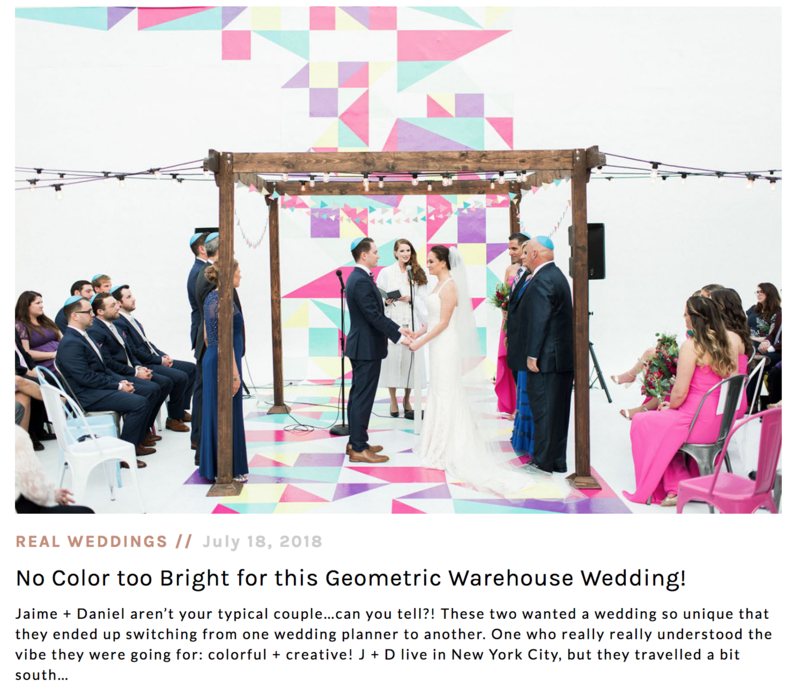 Thank you Green Wedding Shoes for featuring our Industrial Geometric Colorful Wedding! We are beyond excited to set some new Wedding Trends around the world!